Double Camel, in cooperation with Lionshead Specialty Tire & Wheel LLC (Lionshead), is recalling certain Vail Sport ST LH 99 tubeless trailer tires, size 225/75D15, manufactured from April 2012 through February 2013. The affected tires may not be marked with the load range letter designation. As such, these tires fail to comply with the requirements of Federal Motor Vehicle Safety Standard No. 119, "New Pneumatic Tires for Vehicles Other Than Passenger Cars." Tires that are missing the load range designation may cause the owner to unknowingly overload the tires, resulting in a blow out, increasing the risk of a crash. Lionshead will notify owners, and dealers will replace the tires, free of charge. 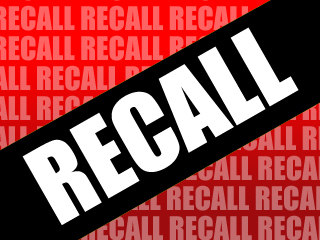 The recall is expected to begin in June 2014. Owners may contact Lionshead at 1-574-533-6169.